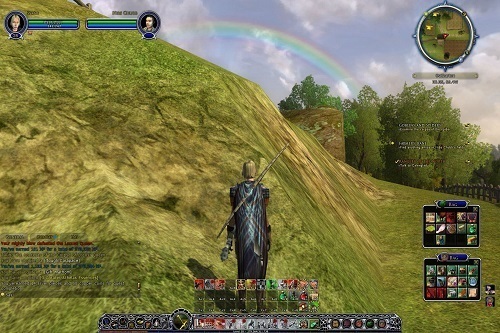 The Lord of the Rings Online (LOTRO) is a story driven MMO experience that takes place in the Lord of the Rings universe. The game was originally a paid MMO for PC and Mac but has been free to play for several years now. LOTRO follows a standard MMO design with customisable avatars, multiple classes, NPCs and plenty of quests. PvE is definitely the focus in the game with little meat on the PvP bone. Instances are by far the most challenging PvE aspect and offer a variety of difficulties for groups as small as 3 players and as large as 24. The most enjoyable form of progression in the game is through the main storyline which is split into a number of books. Originally the game featured 8 books for players to adventure through but expansion packs and content update have expanded this well into double digits. Each book has their own quests and story paths to follow which are filled with Lord of the Rings history and lore. It’s definitely a game where you’ll get more out of it if you have some interest in Lord of the Rings. Lord of the Rings Online has a great trait system which ensures that your character will be unique even if you run into a player with the same race and class selection. Players can choose a total of 20 traits which offer a variety of boosts and abilities. These traits and comprised of 5 virtue traits (available to everyone), 5 race traits, 7 class traits (from 3 different skill trees) and 3 legendary traits. Beyond the trait system in LOTRO players also have access to vocations which determine which professions players have available to them. Each vocation gives players three professions which includes harvesting and crafting skills. Some available professions include cook, tailor, farmer, prospector and metal smith which can all help you gear your own character or make you money in the economy. The Lord of the Rings Online was an amazing experience that was worth paying for and now that it has gone free to play there isn’t a single reason why any MMO or Lord of the Rings fan should miss out on this game. 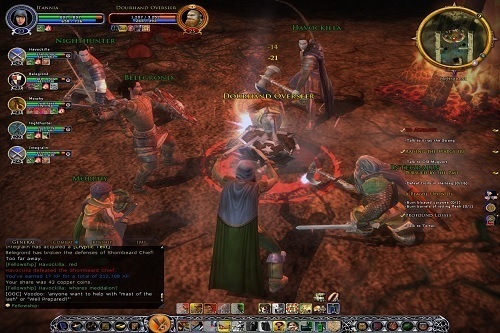 MMO combined with the LOTR universe. Originally paid to play game but now free to play. Great trait system provides plenty of depth and customisation.